Dr. Scolieri, Board Certified in Urology and Female Pelvic Medicine and Reconstructive Surgery, provides the most comprehensive science based therapy to his patients. Dr. Priya Patel, OB/GYN will be providing the full spectrum of exceptional women’s health care to Canfield, Salem and the surrounding areas. To request an appointment with Dr Michael Scolieri, Kellie Klimis, NP, Dr Priya Patel, or Stephanie Mathews, WHNP click below or call (330) 337-1134. 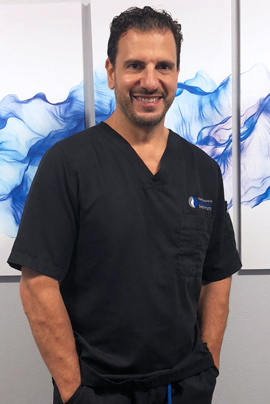 Dr. Michael Scolieri can evaluate and treat all urologic conditions and has committed himself to maintaining a professional, relaxing environment while providing the best possible care for our patients. Dr. Michael Scolieri, Board Certified in Urology and Female Pelvic Medicine and Reconstructive Surgery, provides the finest comprehensive care for patients and has been treating many of these conditions effectively for over a decade in Columbiana, Mahoning, Stark, and Trumbull counties. The Comprehensive Urology Institute has offices conveniently located in Salem, Canfield, and Alliance Ohio. Contact us to schedule your appointment with Dr. Michael Scolieri today!